Takua a0.5’s BSDF system was particularly interesting to build, especially because in previous versions of Takua Render, I never really had a good BSDF system. Previously, my BSDFs were written in a pretty ad-hoc way and were somewhat hardcoded into the pathtracing integrator, which made BSDF extensibility very difficult and multi-integrator support nearly impossible without significant duplication of BSDF code. In Takua a0.5, I’ve written a new, extensible, modularized BSDF system that is inspired by Mitsuba and Renderman 19/RIS. In this post, I’ll write about how Takua a0.5’s BSDF system works and show some pretty test images generated during development with some interesting models and props. First, here’s a still-life sort of render showcasing a number of models with a number of interesting materials, all using Takua a0.5’s BSDF system and rendered using my VCM integrator. All of the renders in this post are rendered either using my BDPT integrator or my VCM integrator. Evaluate, which takes input and output directions of light and a normal, and returns the BSDF weight, cosine of the angle of the input direction, and color absorption of the scattering event. Evaluate can also optionally return the probability of the output direction given the input direction, with respect to solid angle. CalculatePDFW, which takes the input and output directions of light and a normal, and returns the forward probability of the output direction given the input direction. In order to make the BSDF operate bidirectionally, this function also needs to be able to return the backwards probability if the input and output are reversed. Sample, which takes in an input direction, a normal, and a random number generator and returns an output direction, the BSDF weight, the forward probability of the output direction, and the cosine of the input angle. IsDelta, which returns true if the BSDF’s probability distribution function is a Dirac delta function and false otherwise. This attribute is important for allowing BDPT and VCM to handle perfectly specular BSDFs correctly, since perfectly specular BSDFs are something of a special case. GetContinuationProbability, which takes in an input direction and normal and returns the probability of ending a ray path at this BSDF. This function is used for Russian Roulette early path termination. In order to be correct and bididirectional, each of these functions should return results that agree with the other functions. For example, taking the output direction generated by Sample and calling Evaluate with the Sample output direction should produce the same color absorption and forward probability and other attributes as Sample. Sample, Evaluate, and CalculatePDFW are all very similar functions and often can share a large amount of common code, but each one is tailored to a slightly different purpose. For example, Sample is useful for figuring out a new random ray direction along a ray path, while Evaluate is used for calculating BSDF weights while importance sampling light sources. Small note: I wrote that these five functions all take in a normal, which is technically all they need in terms of differential geometry. However, in practice, passing in a surface point and UV and other differential geometry information is very useful since that allows for various properties to be driven by 2D and 3D textures. In Takua a0.5, I pass in a normal, surface point, UV coordinate, and a geom and primitive ID for future PTEX support, and allow every BSDF attribute to be driven by a texture. 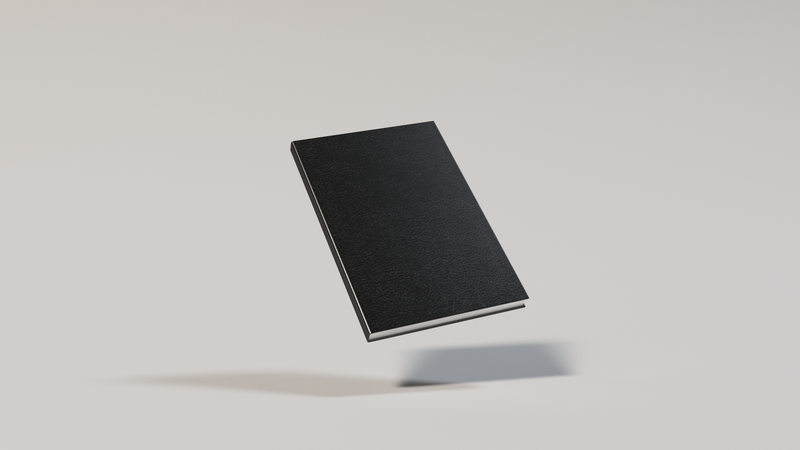 One of the test props I made is the PBRT book, since I thought rendering the Physically Based Rendering book with a physically based renderer and physically based shading would be amusing. 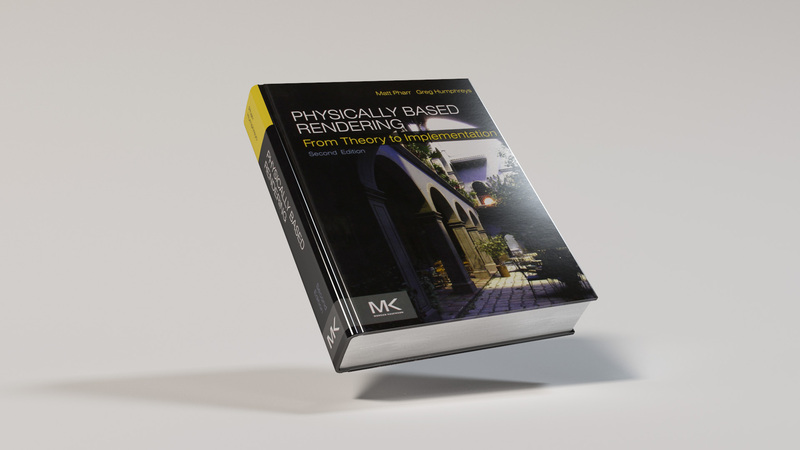 The base diffuse color is driven by a texture map, and the interesting rippled and variation in the glossiness of the book cover comes from driving additional gloss and specular properties with more texture maps. Positivity, meaning that the return value of the BSDF should always be positive or equal to 0. Helmholtz Reciprocity, which means the return value of the BSDF should not be changed by switching the input and output directions (although switching the input and output CAN change how things are calculated internally, such as in perfectly specular refractive materials). Energy Conservation, meaning the surface cannot reflect more light than arrives. At the moment, my base BSDFs are not actually the best physically based BSDFs in the world… I just have Lambertian diffuse, normalized Blinn-Phong, and Fresnel-based perfectly specular reflection/refraction. At a later point I’m planning on adding Beckmann and Disney’s Principled BSDF, and possibly others such as GGX and Ward. However, for the time being, I can still create highly complex and interesting materials because of the modular nature of Takua a0.5’s BSDF system; one of the most powerful uses of this modular system is combining base BSDFs into more complex BSDFs. For example, I have another BSDF called FresnelPhong, which internally calls normalized Blinn-Phong BSDF but also calls the Fresnel code from my Fresnel specular BSDF to account for an output direction with the Fresnel effect with glossy surfaces. 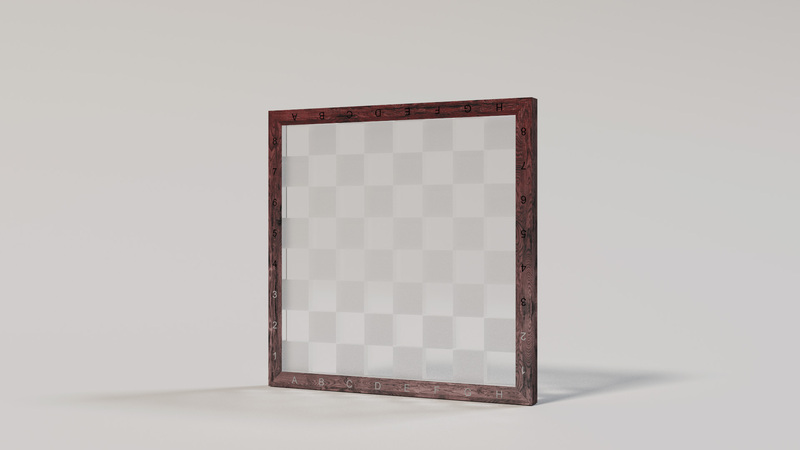 Since the Fresnel specular BSDF handles refractive materials, FresnelPhong allows for creating glossy transmissive surfaces such as frosted glass (albeit not as accurate to reality as one would get with Beckmann or GGX). Another one of my test props is a glass chessboard, where half of the pieces and board squares are using frosted glass. 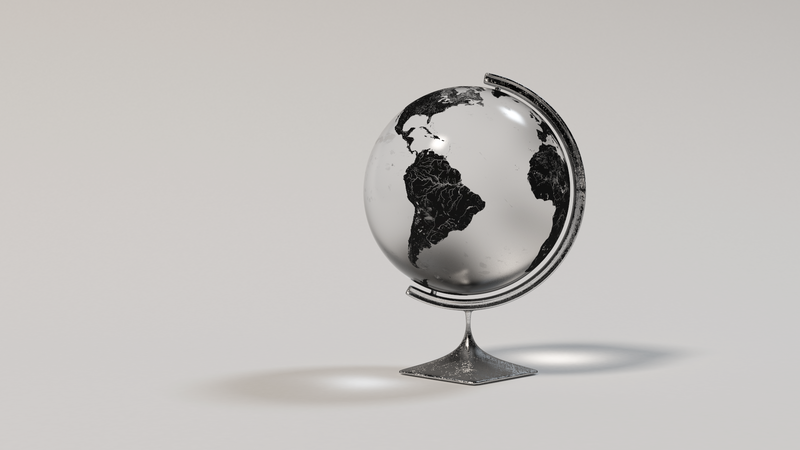 Needless to say, this scene is very difficult to render using unidirectional pathtracing. 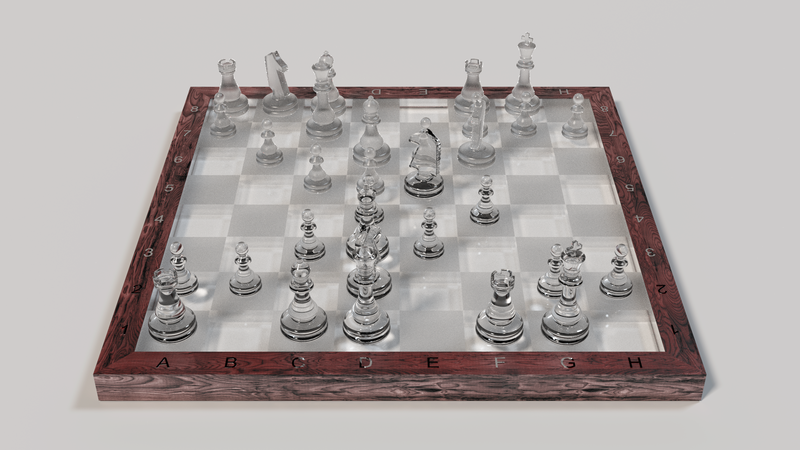 I only have one model of each chess piece type, and all of the pieces on the board are instances with varying materials per instance. Another interesting use of modular BSDFs and embedding BSDFs inside of other BSDFs is in implementing bump mapping. Takua a0.5 implements bump mapping as a simple BSDF wrapper that calculates the bump mapped normal and passes that normal into whatever the underlying BSDF is. This approach allows for any BSDF to have a bump map, and even allows for applying multiple bump maps to the same piece of geometry. In addition to specifying bump maps as wrapper BSDFs, Takua a0.5 also allows attaching bump maps to individual geometry so that the same BSDF can be reused with a number of different bump maps attached to a number of different geometries, but under the hood this system works exactly the same as the BSDF wrapper bump map. Finally, one of the most useful and interesting features of Takua a0.5’s BSDF system is the layered BSDF. 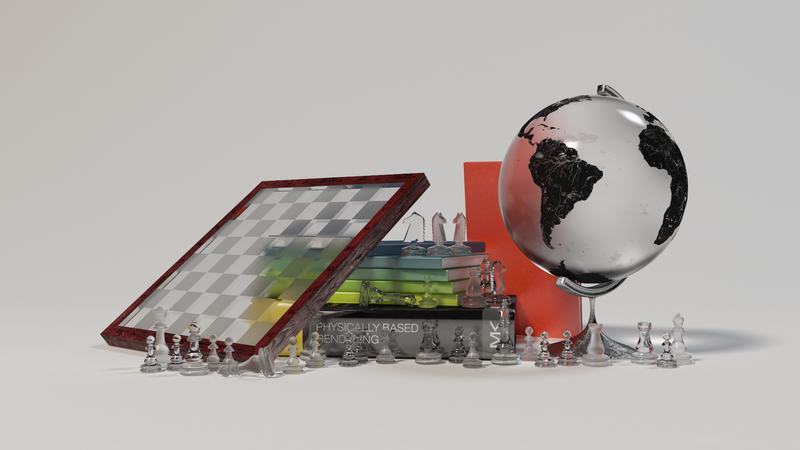 The layered BSDF is a special BSDF that allows arbitrary combining, layering, and mixing between different BSDFs, much like Vray’s BlendMtl or Renderman 19/RIS’s LM shader system. Any BSDF can be used as a layer in a layered BSDF, including entire other layered BSDF networks. The Takua layered BSDF consists of a base substrate BSDF, and an arbitrary number of coat layers on top of the substrate. Each coat is given a texture-drive weight which determines how much of the final output BSDF is from the current coat layer versus from all of the layers and substrate below the current coat layer. Since the weight for each coat layer must be between 0 and 1, the result layered BSDF maintains physical correctness as long as all of the component BSDFs are also physically correct. Practically, the layered BSDF is implemented so that with each iteration, only one of the component BSDFs is evaluated and sampled, with the particular component BSDF per iteration chosen randomly based on each component BSDF’s weighting. Going forward, I’m planning on adding a number of better BSDFs to Takua a0.5 (as mentioned before). Since the BSDF system is so modular and extensible, adding new BSDFs should be relatively simple and should require little to no additional work to integrate into the renderer. 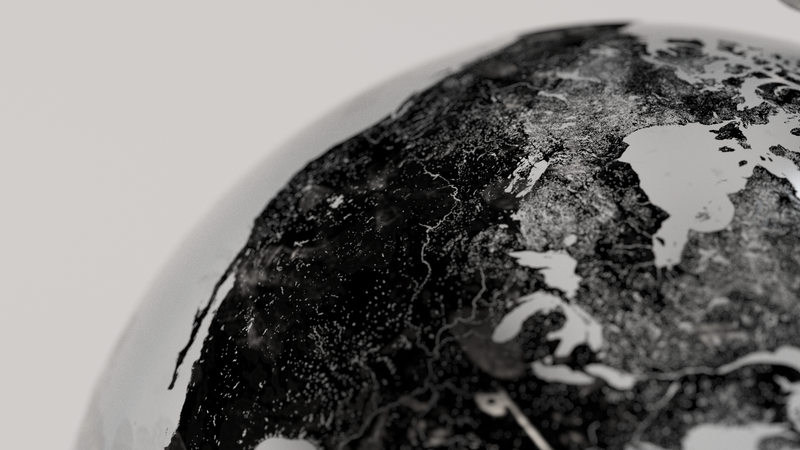 Because of how I designed BSDF wrappers, any new BSDF I add will automatically work with the bump map BSDF wrapper and the layered BSDF system. I’m also planning on adding interesting effects to the refractive/transmission BSDF, such as absorption based on Beer’s law and spectral diffraction. After I finish work on my thesis, I also intend on adding more complex materials for subsurface scattering and volume rendering. These additions will be much more involved than just adding GGX or Beckmann, but I have a rough roadmap for how to proceed and I’ve already built a lot of supporting infrastructure into Takua a0.5. The plan for now is to implement a unified SSS/volume system based on the Unified Points, Beams, and Paths presented at SIGGRAPH 2014. UPBP can be thought of as extending VCM to combine a number of different volumetric rendering techniques. I can’t wait to get started on that over the summer!